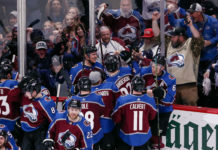 The already extensive contingent of Colorado Avalanche players heading to Russia for the World Championship continued to grow over the last week, as an additional three players were added to their nation’s respective rosters. 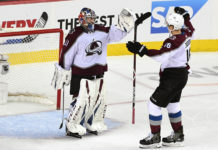 Last Thursday saw the Avalanche goaltending trifecta completed, as netminder Reto Berra was named to the roster for Switzerland. He will join Semyon Varlamov, who will play for Russia, and Calvin Pickard, who will play for Canada. The 29-year-old Berra. was solid in net during the early goings of the season for the Avalanche, posting a 2.41 goals against average and a .922 save percentage in 19 games. 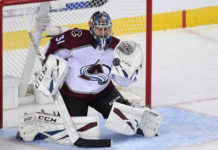 Unfortunately, he was sidelined by an ankle injury during pregame off-ice activities, and by the time he recovered, Pickard had seized his place behind Varlamov. This will mark Berra’s fifth straight appearance in the tournament, having helped backstop the Swiss to a surprising silver medal in 2014. 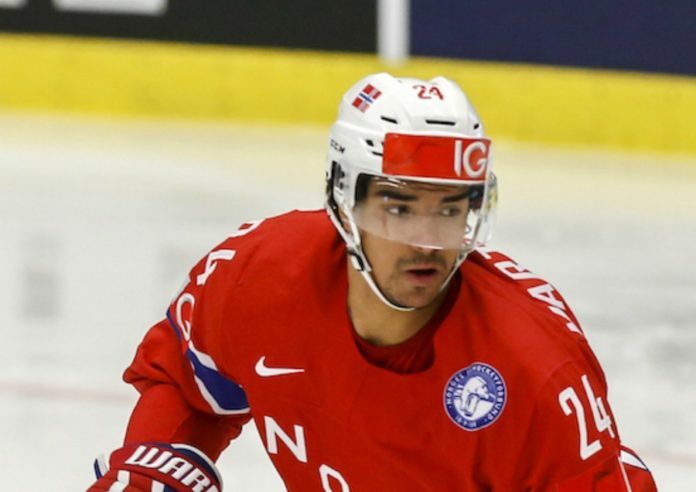 Norway added a player with similar international experience to their roster on Tuesday, naming Avalanche forward Andreas Martinsen. Though this past campaign was the 25-year-old’s first in North America, he will already be playing in his seventh World Championship. In 55 games for the Avalanche, the physical winger had four goals and 11 points. He will be joined on the Norwegian roster by former Avalanche defenseman Jonas Holos. The final addition thus far to the Avalanche contingency came on Team Sweden. A surprising inclusion when their initial roster was named on Monday was young defenseman Anton Lindholm. The 21-year-old spent last season with Skellefteå AIK in the SHL, marking his second consecutive campaign in which he spent the majority of the season playing at the highest level in his country (he made his SHL debut at 17). In 30 games, he had four assists. Lindholm was selected by the Avalanche in the fifth round (144 overall) of the 2014 NHL Entry Draft. This will mark his first time representing Sweden at the Senior level. The tournament is set to begin on Friday. As of now, most teams have only named their preliminary rosters, meaning more players may still be added. In addition to those already named in this article, Avalanche forwards Matt Duchene (Canada), Mikko Rantanen (Finland) and J.T. Compher (USA) will also play in the tournament.